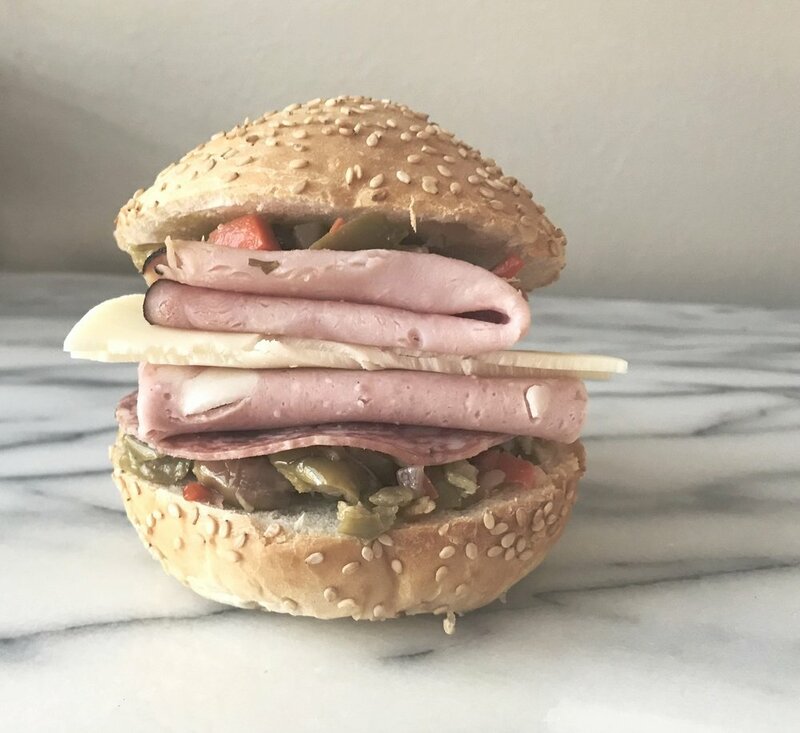 Y'all, this is the sandwich of New Orleans. And it's fabulous and full of flavor, just like the city! This isn't a recipe really because I am not making any of it. It's just to tell you how to assemble it and make a fabulous sandwich right at home. I am lucky enough to have a wonderful mother -in-law that makes a great olive salad, but you can most definitely buy it in a jar at the store. 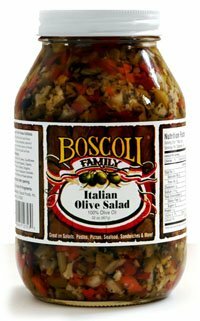 When the time arises that I need to buy it, I buy Boscoli brand. Find what you can. Another hard ingredient to find may be mortadella. It is a fancy bologna, basically, with little cubes of white fat that melt in your mouth. This really makes the sandwich, so try to find it or something similar! These are really great toasted!